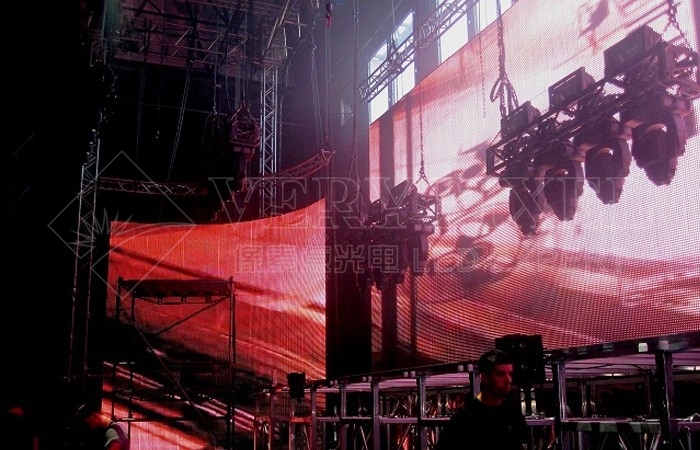 How to calculate power consume of LED flexible display - Shenzhen Verypixel Optoelectronics Co., Ltd. If you are planning to buying flexible LED strip, you need to be able to accurately calculate the power required. Having insufficient power supply will lead to only some (or none) of the LEDs illuminating, or can cause irritation flicker. An over specified power supply will cost more to buy, and will also be harder to fit as they are bigger. To calculate the size of power supply (in Amps) you need to multiply the length of the LED tape by the number of the LEDs per meter and then multiply this by the power of the LED (0.08w to 0.24w per LED are typical values). Then divide the value by 12 volts to calculate the required Amperage of the power supply. VERYPIXEL recommend you add at least 10% to the calculated value to allow for resistance and losses in the cables. You would also need to allow for any possible expansions or additions in the future. Most LED Strip Lights can have additional sections added using joining cables. Example 1: A 5m roll of SMD3528 (0.08w) with 60LED/m would be: (5m x 60 x 0.08) / 12 = 2amps +10% = 2.2Amps. Example 2: A 5m roll of SMD5050 with 60LED/m would be: (5m x 60 x 0.24) / 12 = 6amps +10% = 6.6Amps. For any LED strips over 2 metres in length you can provide a 12volt feed to both ends of the strip or one feed in the middle, by cutting the strip into two and connecting the power supply to both strips. This gives a more even power distribution and should provide a more consistent illumination. There are two main reasons for using LED strips. One is efficiency – LED lights are very efficient, with most of the power going to produce light, not heat. Their extremely long life (20,000 hours is typical) means that they also do not need replaced very often, leading to vastly reduced lifetime costs. The other reason is aesthetic. LED lights can be made extremely small – some LED lighting strips are as thin as 4mm – and so can be installed in places where traditional lights would not fit. Add to this the various LED colour options, including RGB LEDs with remote controlled colour changing abilities. This gives a whole new range of possible lighting effects that can dramatically change the look of a room.